0.06 Ct Diamond Ring Setting in 18K White Gold . 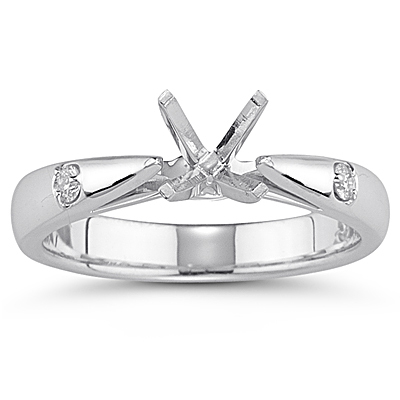 This amazing Diamond Ring Setting flaunts two tantalizing Diamonds prong set in 18K White Gold. Approximate Diamond Weight: 0.06 Carats. Choose a center stone of your choice to design your own ring.